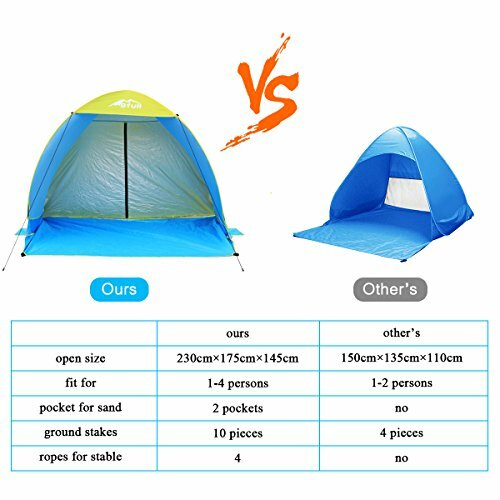 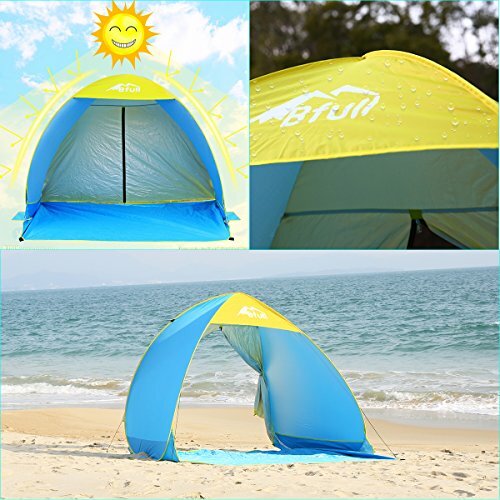  Bigger– It is 230cm x 175cm x 145cm, so this beach shelters is more suitable for 1-4 persons. It would be a better choice for a family and couples. 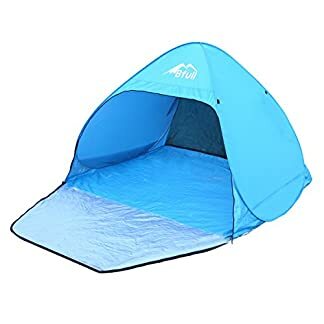  More Stable– This tent has a small poket on each side so that you could put the sand or the stone in or on it, so the cabana will be more stable.  More Windproof– There comes with 10 ground stakes and 4 ropes which could provide a better and stronger support in the windy days. 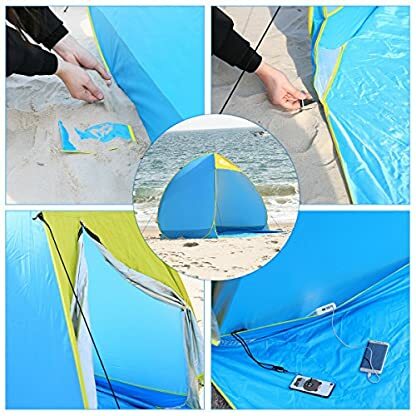 Easy to set up the beach shelters in 2 seconds. Larger for 1-4 persons, mor suitable for family and couples. 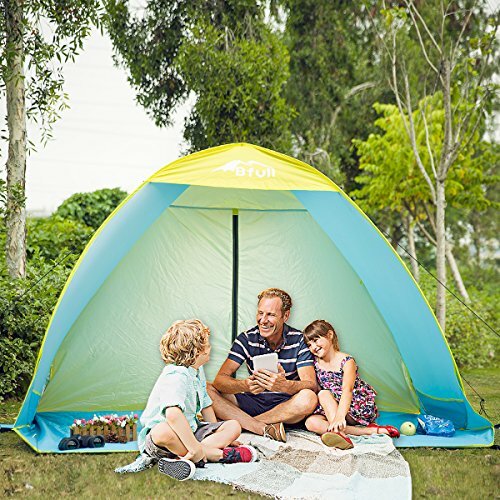 This sun tent has curtains with zips, easy to close and open. It is among the essential set up for you and your friends and family for outdoor activities, beach play, fishing, camping, picnic and so forth. We comprehend it is a little hard to close the cabana and put it into the package, so we have made a video.Here is the link. 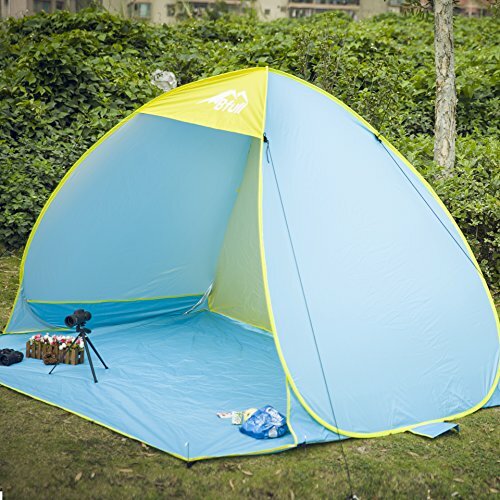 Here is the silver coated fabric around the coverage. 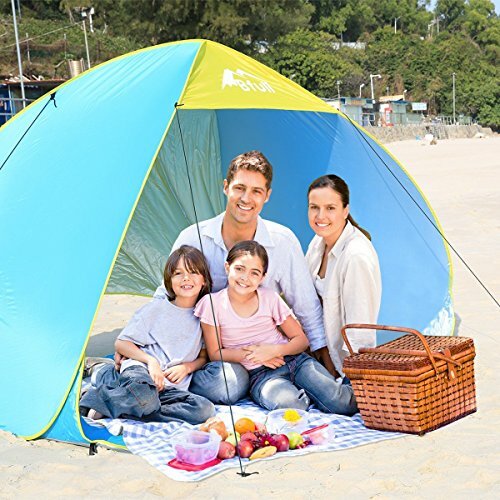 UV rating 50+, which could keep you and your family & friends away from UV damage. 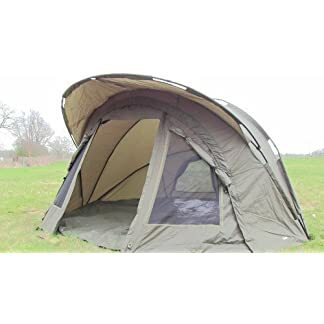  More Stable– This tent has a small poket on each side in an effort to put the sand or the stone in or on it, so the cabana will be more stable. 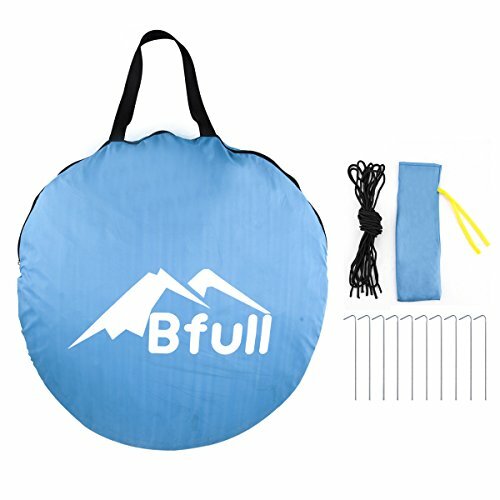  More Windproof– There comes with 10 ground stakes and 4 ropes which could provide a better and stronger give a boost to in the windy days. 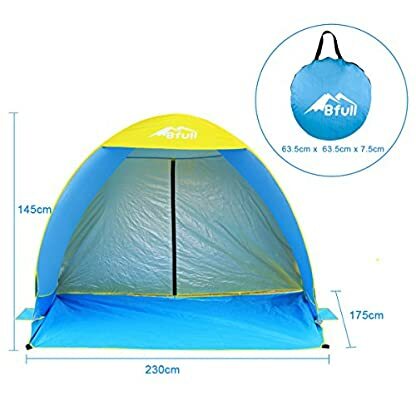  More Ventilated– This Bfull beach tent does not have a door in its front, alternatively there is a curtain at its back which could be opended and closed; so that it may be more ventilated and sun-protection in our tent. 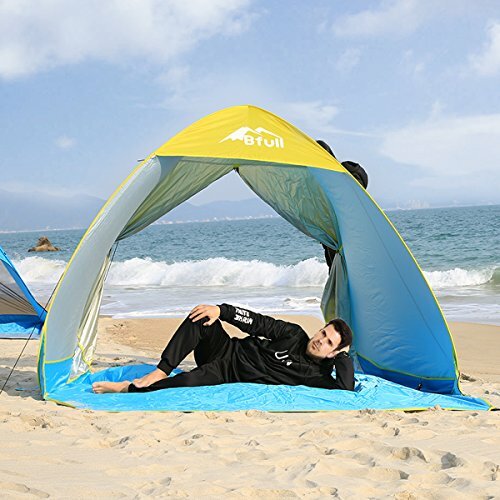  More Durable– Made of nylon material which could give you the protection against splashing water. 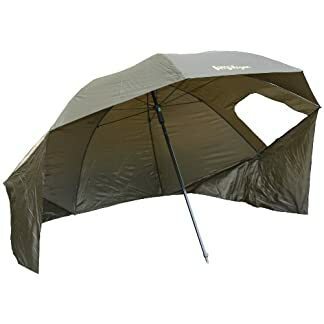 But even so, it is easier to clean and greater to keep away from UV rays.